Water is a big issue in California. Artwork by B. Hihara. Comics – a category that includes ancient graffiti, woodblocks, political cartoons, and zines – have a long history as communication and education tools. As a lifelong comics and manga nerd, I was excited to learn that health science and medical researchers, practitioners, and patients have pioneered the use of comics as teaching tools. For example, researchers have found that comics instructing medical students about ethics or patients about the signs and symptoms of a stroke are more effective at engagement, comprehension, and information retention than traditional education materials. 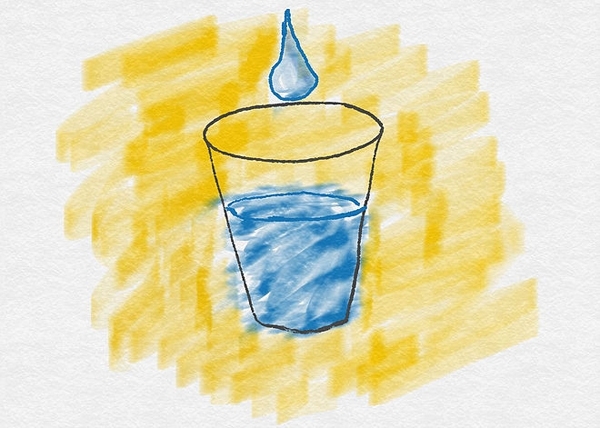 Seeing the successful use of comics in medicine left me wondering if the same could hold for my other long-term interest: water in California. As I contemplated the idea, I learned that comics can help engage multiple learning types thanks to their visual nature. I also learned they help readers process emotions which, as anyone who follows California water politics knows, could be helpful. I decided to test these ideas myself by developing the webcomic Truth in Water. Writer John Fleck address the myths of water in the western U.S. Artwork by B. Hihara. This project – developed using my own writing and artwork, which was completed as part of my graduate training – has been my addition to the wide body of research on comics as education. 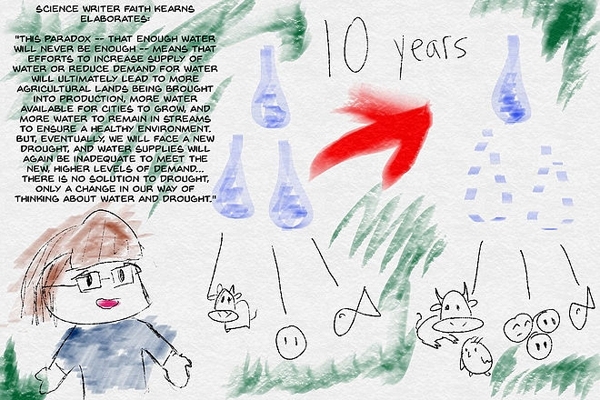 It uses webcomics to unwrap some of the most difficult problems with water use in California, showing readers how to understand different narratives in water discussions, as well as how to become more active participants in those discussions. Pseudonymous water wonk and blogger On the Public Record. Artwork by B. Hihara. I shared the webcomic with a small sample of California residents. Readers took surveys before and after viewing the webcomic to evaluate how much they learned, as well as how willing they were to act on California water issues. The results show that the webcomic had a positive effect in engaging readers to action, but no detectable effect in teaching them how to decipher California water narratives. 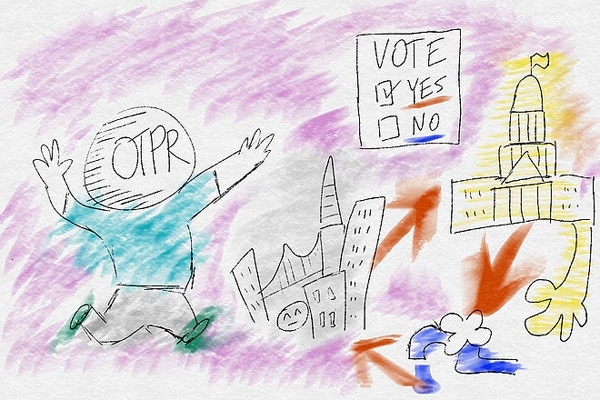 A higher quality webcomic and stronger sampling could lead to stronger result. Overall, my results indicate that webcomics may be a valuable tool for shaping environmental values discussions. Other organizations seem to agree – webcomics are the centerpieces of communications campaigns by the European Research Council, gun violence activists, and the United Nations Children's Fund Sustainable Development Goals. It has also been great to see complementary work like that of the Southern Sierra Critical Zone Observatory, which is also using comics to communicate about water-related issues in California. I plan to continue this work and start a consistently updating webcomic that deals with some of the thorniest issues related to water and climate in California. By taking a novel approach that reaches beyond the largely technocratic and scientific language used to communicate water issues, I hope to reach people that may not normally engage and to play a role in bringing water to the forefront of public consciousness. Blake Hihara earned his MSc of Environmental Science and Policy from Johns Hopkins University. 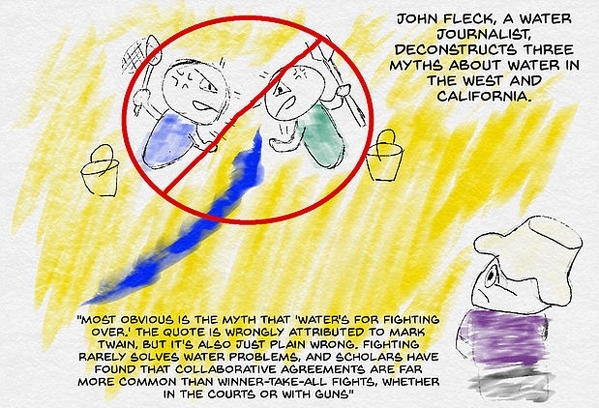 His final project, advised by Faith Kearns of the California Institute for Water Resources, involved developing a web comic about California water policy and issues, focusing especially on communication, myths, and framing.